Varicose and spider veins indicate that you have damage in the tiny, one-way valves in the veins that help push blood back to the heart. Spider and varicose veins result when the valves don’t work properly and blood flows backward and pools in the vein, putting pressure on its walls. As a result, the veins appear swollen, discolored, and bulgy. They can also ache and interfere with your quality of life. Spider veins appear as ultra-thin, winding lines of purple, brown, blue, or red veins. 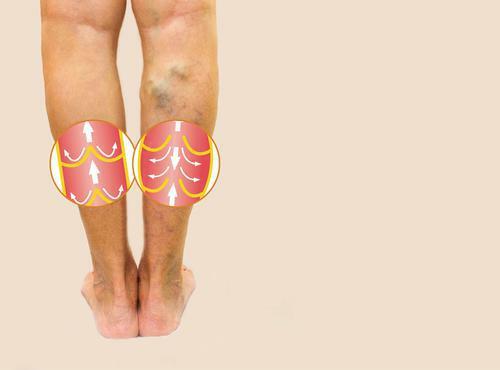 Varicose veins are more puffy and thick. Dr. Gosin offers minimally invasive treatment to address these veins here at Shore Vascular & Vein Center. Whether you opt for laser treatment, sclerotherapy, or endovenous radiofrequency therapy, he can help resolve the appearance of these veins, so you feel more comfortable when you’re on your feet or wearing shorts. Don’t put off treatment until it’s time to flash your legs in the heat of summer. Winter treatment provides optimal time for healing so that when summer rolls around you have no evidence of these unsightly veins. Here are some reasons why winter is actually the optimal time to have treatment to eradicate both spider and varicose veins. still make you feel self-conscious. If you have treatment for your veins in winter, these side effects will fade by summer. You will have smooth, evenly toned legs to complement your shorts, minis, and swimsuits. After most vein procedures, Dr. Gosin advises you to wear thigh-high compression stockings to help with healing and recovery. These stockings are especially uncomfortable in the warm summer months. When you have vein therapy done in winter, you can wear the stockings under your warm winter clothes. You naturally spend less time in the sun in the winter. This is a good thing when you’ve just undergone treatment for varicose and spider veins. Too much sun exposure can cause dark spots and discoloration at the areas veins were treated. You’ll need to stay out of the sun for 3-4 weeks following your vein procedure, so winter is just the time to have treatment and not have to resist pool dates, beach events, or cruise vacations. The pain, swelling, and discomfort associated with varicose veins and spider veins last year-round. You may not even realize how much you could enjoy winter activities until you have your veins treated and the side effects of varicosity disappear. Following vein treatment, you’ll be advised to stay away from public pools or bodies of water for up to two weeks. You need your wounds to heal, and you must graduate from wearing compression stockings before swimming is safe. In winter, you’re less likely to encounter swimming activities, making this healing time seem less disruptive to your schedule. To find out what vein treatments can help you resolve the ugliness and discomfort of spider and varicose veins, call us at Shore Vascular & Vein Center. Our expert team can help you understand what to expect with treatment. Call our office in Somers Point, New Jersey, today or book online via the website.